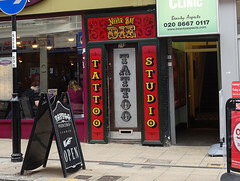 Tattoo studio on George Street. Previously a dental practice (as of July 2009, according to Google Street View). Last edited 2018-12-20 15:08:23 (version 19; diff). List all versions. Page last edited 2018-12-20 15:08:23 (version 19).